A very lucky shirt! 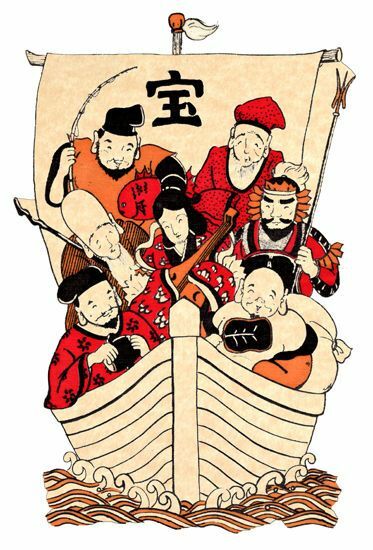 All seven lucky gods in one boat: Hotei, Juro-jin, Fukurokuju, Bishamonten, Benzaiten, Daikokuten and Ebisu. White colour. 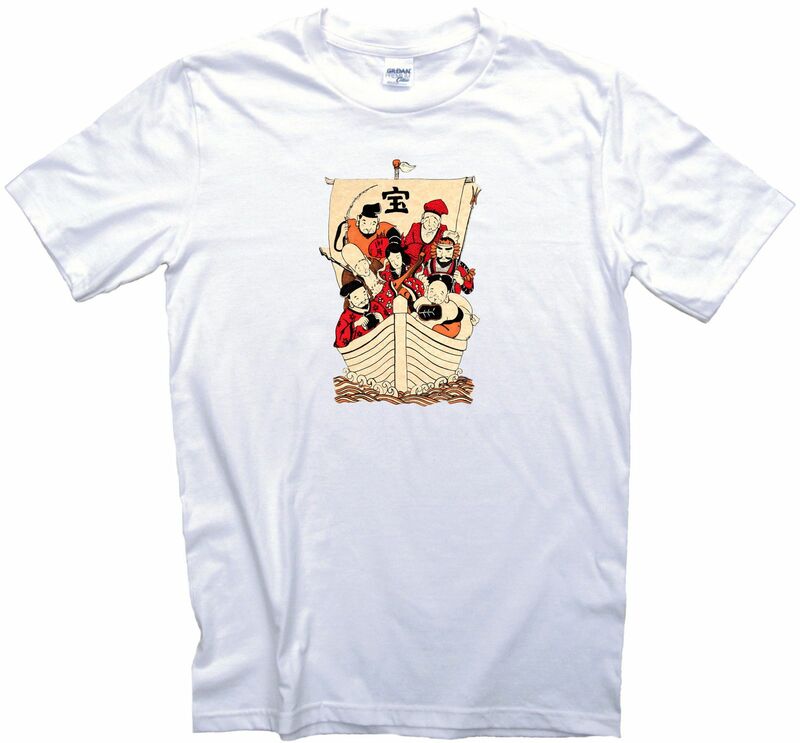 Check out our Ebay shop for more t shirts, mouse mats, phone covers and coasters!